Known as Special Chabbis, from zero song in Wednesday to half a dozen in Special 26, Neeraj Pandey has made it amply clear that he now represents main stream cinema. 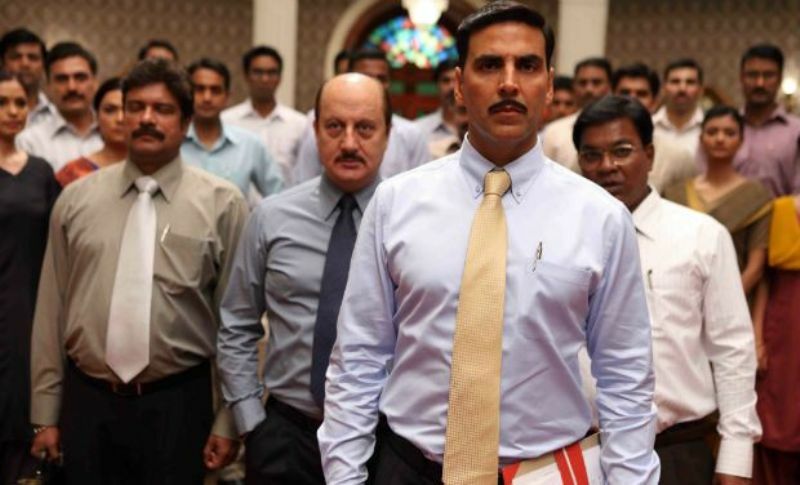 Based on the real life heist, Akshay Kumar, Anupam Kher and gang loot the self-serving politicians, bureaucrats and businessmen off their riches by posing either as CBI or income tax officials. As they raid people of their black money, there are no police reports or investigations. After committing at least 50 robberies across the country, they plan to loot a high-profile jewelry brand based in Mumbai. But CBI officer Manoj Bajpayee who masterminds a supposedly bigger trap to nab the thieves red handed. Great acting can be seen by leading actors especially Akshay Kumar, who leads the group of con men, the no-nonsense by-the-book CBI Officer, Manoj Bajpayee and the naïve police officer, Jimmy Shergill. In fact Jimmy Shergill, at times takes the glory away on screen from his renewed co-actors. The leading actress, Kajal Aggarwal, is as wooden as she could be. She is neither so pretty nor so expressive. The climax of the movie is inspired by a real life incidence when bogus CBI officials raided a leading jeweller in Bombay at Opera House, on 19th March 1987. The movie has its funny moments especially the dupatta scene and Anupam Kher’s interrogation scene. Despite a good plot, the movie certainly misses the WOW factor. The second half drags a lot and viewers just wait for the film to end. The end does provide a bit of excitement as some unexpected events unfold, but its too late by then. The music is average with an exception of one song Kaun Mera sung by Papon. Good to watch if you have nothing substantial to do, else wait for its DVD release which should be happening pretty soon. Previous Post Best Hangout Places in the City on this Valentine !